Now is the time to buy. If you have been thinking of relocating or investing in Southeastern North Carolina, now is your opportunity. Wyndwater is a new home community that has just been released with homes already under construction. Be one of the first to choose the perfect home site now before prices go up. With one, two and even a few three story plans available, buyers have numerous options with design, colors and selections. New homes are built by 2 builders in area American Homesmith and Hardison Builders. Prices start in the 220's for single family homes with patio and town homes slated to begin in the next 12 months once the new sewer plant is built. Land and home packages available now on West Craftsman Way and South Lamplighters Walk. Wyndwater is a beautiful development that was once Topsail Greens golf course. Enjoy winding streets, large ponds and large old growth oak trees. Located in central Hampstead off Sloop Point Loop, close to Hamptead's new public boat ramp on Lewis Road. Families will benefit from the Topsail School district and those looking to enjoy the beach only 10 minutes from Topsail Island. A quick commute for shopping and dinning in Wilmington just 15 minutes south. This is the newest community in the greater Hampstead area and buyers are jumping on the opportunity to own a piece of real estate in Wyndwater. We offer property tours 7 days a week by appointment. Call us today for more information 910.262.6744. Hampstead real estate is booming! 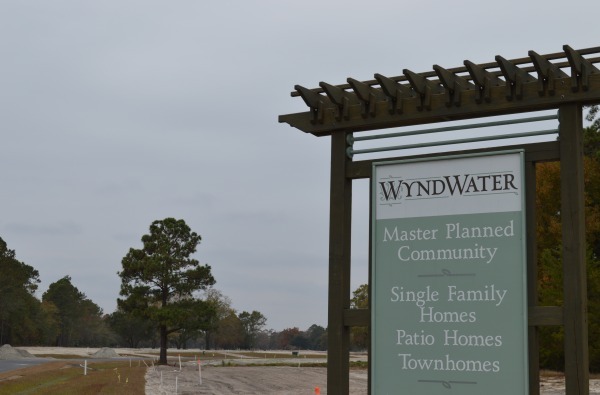 With developers and builders searching Pender County for new opportunities, Mike Pollak and David Greer have a unique position as Hampstead's newest community WyndWater begins to take shape. This new home community will offer over 300-400 homes starting in the mid $200,000 range. This development is breaking ground at a great time with Ninety-two lots planned to be released and construction to begin this month. Planned community amenities will include a dog park, green space, walking and biking trails around the 3 ponds and a garden for the residents. Driving through the community you can already see home sites staked out, drainpipes for driveways and neatly built home pads waiting for construction to begin. Following phase one Mr. Pollak has said there will be custom lots available. Homes will be built by Hardison Builders with similar models to their project now on The Walk at Sloop Point. Coastal Realty Associates new home specialist are available daily for more information call, 910.262.6744. Entry into WyndWater from Country Club Rd. Custom home sites with large old growth trees. 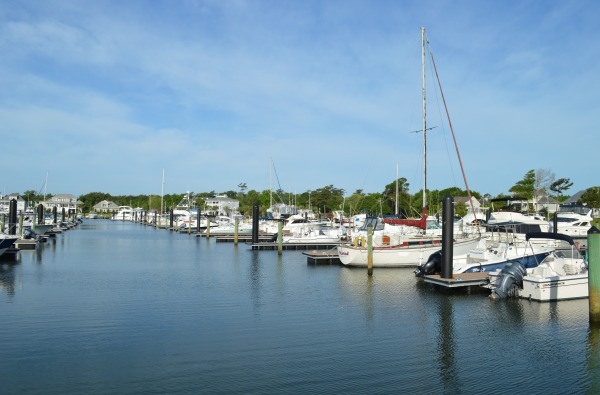 Harbour Village Marina offers full service with Club House, Members Lounge, private ramp, plenty of parking, gas & diesel, portable water, and laundry facilities. Owners and guest will enjoy the newly updated club house and new docks. Contact Coastal Realty Associates for more information on pricing, 910.262.6744. In Southeastern North Carolina Hampstead has the best of all zip codes with the average selling price of $283,955 increasing by 21.0% since last year. For sellers, 48% of sellers in the 3rd Quarter of 2014 paid some kind of concession. Average list price has increased 21.9% since last year to $292,854 with average number of days remained on market was 114 days compared to 120 days for end of year in 2013. If you have been thinking of buying or selling now is truly the time. With an increase of over 20% in only 8 months its clear property values are rising and appears to be a tread that will only continue. 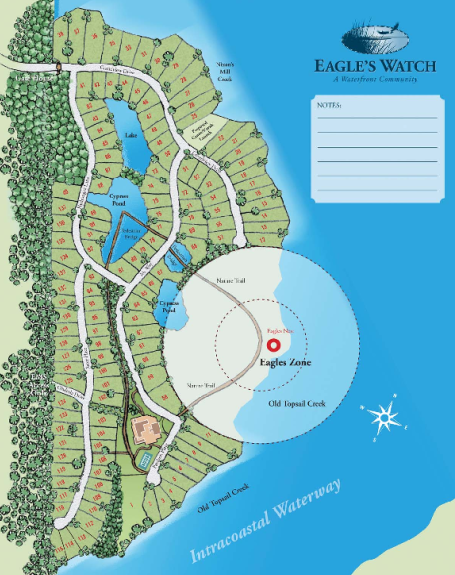 Located in south Hampstead, Eagles Watch is a 130 acre gated waterfront community. Conisting of just over 130 total home sites, this is currently one of Hampstead's fastest growing new home communities. 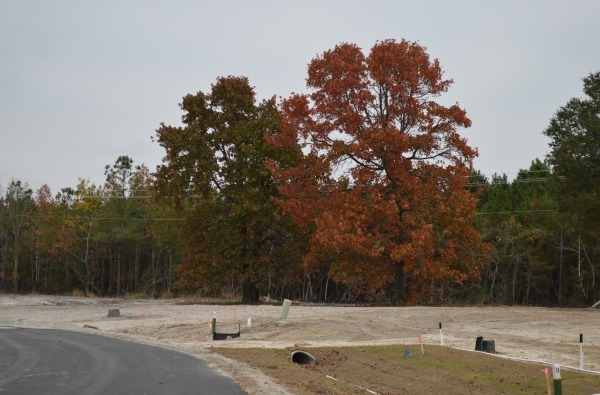 Buyers are finding this private development consist of wooded home sites around natural cypress ponds and along 30' bluffs overlooking Nixon's Mill Creek, Olde Topsail Creek and the Intracoastal Waterway. Enjoy nature directly out your back door with an abundance of outdoor activities along the nature trails through the protected Eagles Nest and at the community club house. The development is growing rapidly and lots are selling fast. Coastal Realty has teamed up with local builders to offer land/home packages starting at $320,000. Families benefit from the Topsail School district and the close proximity to Wilmington and Topsail Island beaches. We are happy to schedule appointments in advance for private tours and offer exclusive buyer incentives for the remainder of 2014. Call us today to learn more about this beautiful coastal Carolina lifestyle. We look forward to working with you! Hampstead host the 2014 NC Spot Festival again this year and it was a huge success. Great experience for all ages and plenty of live music, games, food, arts and crafts and vendors to explore. With perfect weather, thousands came to enjoy the outdoor activities. There were camel rides, games ranging in a variety of events and live music from featured bands Jim Quick and the Coastline Band, The Embers feat. Craig Woolard, Bub and Morgan White and the Carolina Band! Thanks for all the vendors, sponsors and individual participants for another great NC Spot Festival here in 2014! We have had a lot of clients inquiring for new homes in South Hamptead. We are proud to showcase the beautiful new home community of Cypress Lakes located off Washington Acres Rd only 10 minutes from Wilmington, NC. New homes built Bill Clark on large wooded home sites. Are you looking for a single level ranch home with bonus room? or Looking for more room to spread out with a nice two story custom home? Cypress Lakes has something for everyone! Call us today, 910.262.6744 for more information on floor plans and lots available. We look forward to working with you. The Walk at Sloop Point is one of the newest neighborhoods in Hampstead. The development is on Sloop Point Road, across from North Topsail Elementary School makes The Walk a highly desirable area of Hampstead. Hardison Building Company and American Homesmith is offering beautiful homes with numerous upgrades and features to choose from. Families can enjoy Kiwanis Park less than a half mile up the road, launch their boat at the nearby Lewis Road public boat ramp, or hop over to Topsail Island for a fun filled day at the beach day. Discover Wilmington and Jacksonville both only a short drive away. Contact us today for more information or to schedule an appointment, 910.262.6744. Castle Bay is a beautiful community off of Highway 17. Located on a Scottish-Links style, 18 hole golf course, Castle Bay is a great place to buy a home or condo. Known for their brick homes, this community has plenty of great views of the golf course, walking trails, natural beauty and wildlife. Families can join the Castle Bay Country Club and enjoy all the extras like tennis courts, swimming pool and a fitness center. Golf Course memberships are also available giving resident’s access to the Pro Shop where they can set up golf lessons, visit the driving range, practice green and bunker. The King’s Table is a restaurant in Castle Bay that offers a light menu and a full service bar to entertain residents as well. The residents also are part of one of the best coastal school districts in North Carolina, Topsail School District. This is a wonderful area of Hampstead to raise a family or buy a home, close to Topsail Island and surrounding beaches as well as a short drive to Wilmington. Olde Point is a well established community in Hampstead that has homes listed in various price ranges along the Intracoastal Waterway and tidal marshes. This community is built on an 18 hole golf course designed by Jerry Turner in 1974. Olde Point has plenty to offer to buyers from the golf course, boat ramp, pool, tennis courts and restaurant. This is a great community for retired golf enthusiasts, families and those looking to find a perfect second home close to the beach. The Topsail School District is one of the best in Hampstead area, and with the Kiwanis Park and Surf City Parks and Recreation there are plenty of ways to entertain and introduce children to our wonderful community. Olde Point is a semi private course; members also get access to the pool and tennis courts. Tennis programs are available for members as well as golf lessons on the green, a driving range and putting green. There are also various clubs and organizations in the community like bowling, bridge, gardening, golf and tennis. 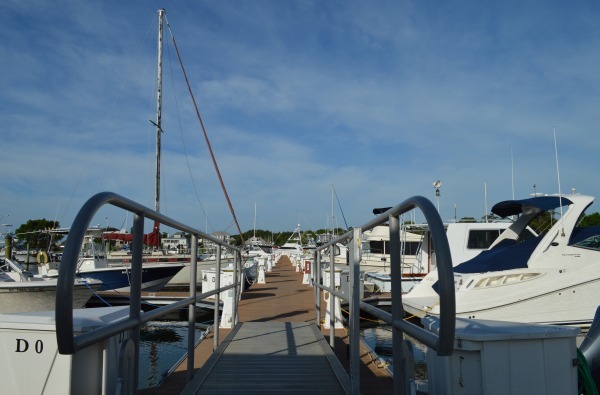 Harbor Village Yacht Club offers members of Olde Point access to the ramps for easy boat launching into our coastal waters.